Cribbage- The best card game ever developed for two players! 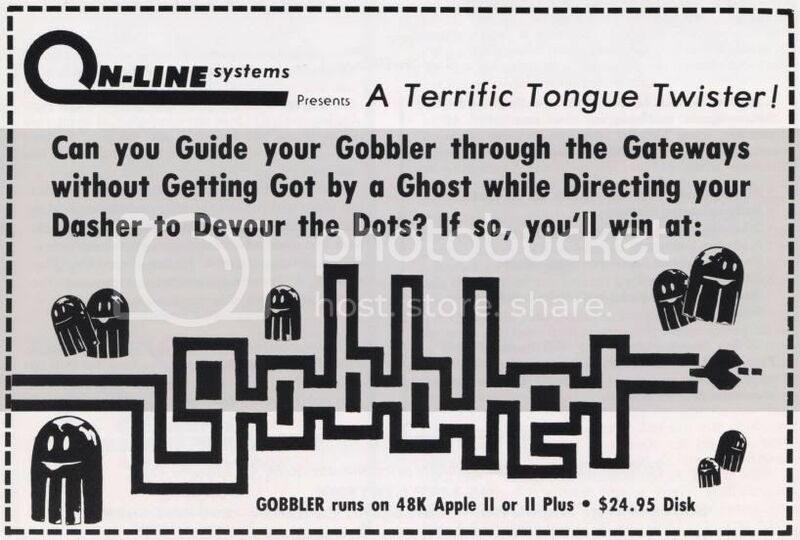 Everyone who plays Cribbage will agree with that statement, and since the introduction of Hi-Res Cribbage for the Apple II, it has now become the best two handed card game ever developed - for one player. Cribbage was developed by an Englishman named Sir John Suckling. He derived the game from an earlier pastime called "Noddy". The rules of Cribbage are the same today as they were back in the 1600's when Suckling developed the game. Suckling was a wealthy man who inherited his father's fortune, and was considered the best card player in Britain. He was also a poet and a playwright, as well as a soldier. He was elected to Parliament and was a favorite in the king's court and in great castles of England. Most of us have seen people play this peculiar game before; peculiar to the spectator watching players leapfrog little pegs around what looks like a little race track. As dumb as the game seemed to me, I noticed that the players were always having fun. So I decided to sit down and learn how to play Cribbage. I found out that Cribbage really is fun to play! In fact, not only did it become my favorite two handed card game, but by favorite card game. At first, Cribbage seems to be complicated and confusing, but in fact it is straight-forward and in many ways similar to other card games that you may already know. The game starts with both players receiving six cards dealt one at a time. The deal alternates every hand. After the cards are dealt, both players must choose any two of their cards to discard into a third hand called the "crib hand". The crib hand can be thought of as a bonus hand for scoring points at the end of each round or deal. The person that dealt the hand is the person who receives the points in the crib hand. Since the deal alternates every hand, both players will also alternate the "crib hand" with a straight advantage going to the player who dealt first. Pairing the previous card played. Also, one other way to score is to play into a sequence of 3 or more cards, such as playing an "eight" after a "six" and "seven" (other examples … 10-J-Q,3-4-5-6-7,A-2-3-4). Playing for sequences is one of the main strategies of Cribbage. DOUBLE PAIRS ROYAL (4 of a kind) - 12 points. 15's - 2 points each (any combination of 2,3,4, or 5 cards that total 15 points). SEQUENCES - 1 point for each card in sequence. FLUSHES - (4 or 5 cards) 1 point for each card in the flush. HIS NOB - If the suit of any jack in your hand matches the suit of the top card - 1 point. The perfect hand is 29 points. After all scoring is finished, the person who was the non-dealer, now becomes the dealer (and the person that scores the crib hand). The game continues until one player reaches 121 points or the last hole on the cribbage board. If the game is won by over 30 pegs, a "skunk" is scored, worth two game points. If the game is won by over 60 pegs, a "double skunk" is scored, worth 4 game points. A match is won by the first player to win six game points. The On-Line Letter will be published bi-monthly.